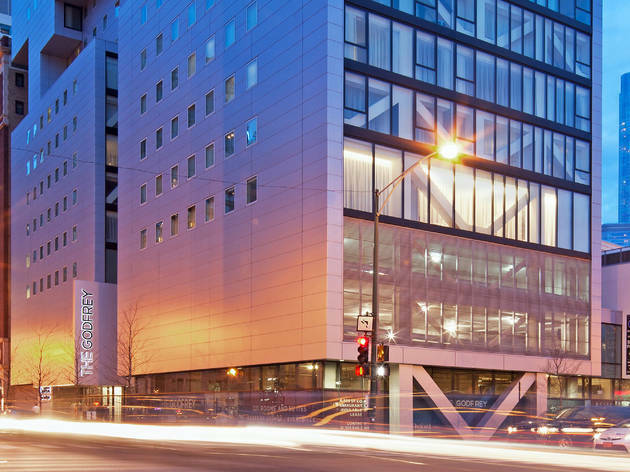 From its striking cubist facade down to the stylish and modern interiors, the Godfrey Hotel Chicago lives up to its four star status from the get-go. Situated in the heart of River North and within walking distance of the Magnificent Mile, the hotel is an ideal starting point for a day out on the town. Amenitites include a spa and 24-hour fitness center, complimentary Wi-Fi and an Indoor-Outdoor urban roofscape with a full-service bar and dinning options. 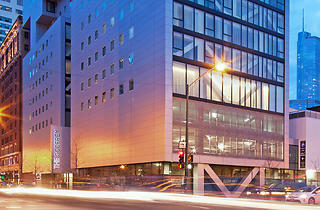 The Godfrey Hotel has always been one of the sleek hotels located in the River North area of Chicago. It has a vibrant bar/rooftop that always has a clientele that are on the upper scale or young professionals with an aesthetic that's attuned to finely dressed. They have good drinks and really great food. The view is also admirable during the summer time and can be a great hangout with friends.